Last week we got great news from the National Bureau of Economic Research that confirmed what we already suspected: investing in low-income students to attend college not only benefits them, but it is a worthy investment for taxpayers. This is important news, especially as lawmakers are debating investment tools, such as the Pell Grant. In this blog, we often say impact is the bottom line in the social sector. 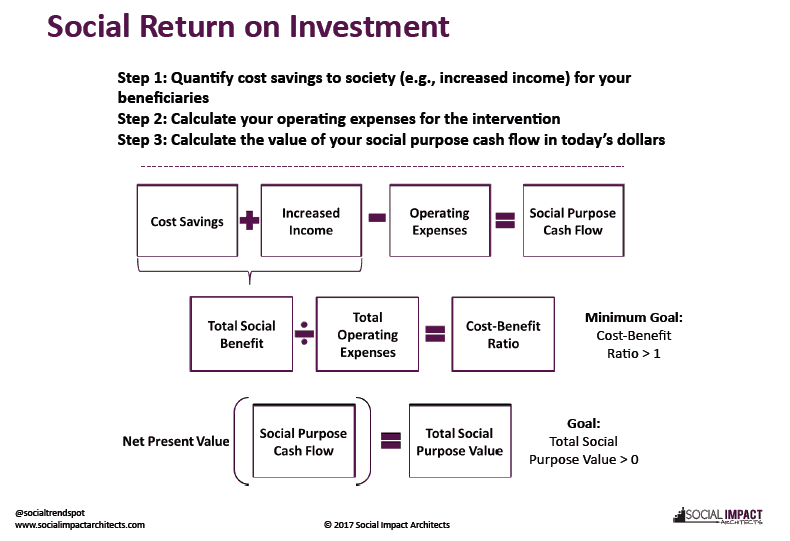 It’s natural to wonder, “Is the world a better place because of the work we’re doing?” Thankfully, more researchers and nonprofits are able to answer this question by using a tool called social return on investment (SROI). Let’s take a closer look at how your organization can start using this important tool. SROI – What is it (and what isn’t it)? At its heart, SROI measures whether the benefits of our work outweigh their costs. Like its corporate world counterpart (return on investment), SROI quantifies and monetizes the economic and social value a program is likely to create and compares those benefits to the program’s operating costs over a span of years. For example, a workforce readiness program that increases an individual’s potential to obtain a full-time job may claim societal benefits such as reduced cost of government assistance (housing subsidies, food stamps, Medicaid) and increased cash flow (individual income, tax collection). The associated operating costs include the programmatic and overhead costs to deliver job-attainment services. However, there are some things that SROI doesn’t measure. While SROI is one way to measure a program’s impact, it does not prove causality and cannot replace measuring actual outcomes. The strength of an SROI model increases as the organization gains evidence of its outcomes through best practices research or self-evaluation studies. It’s also important to note that this model is not comprehensive – there are many unquantifiable social benefits, such as increasing self-confidence or family stability. 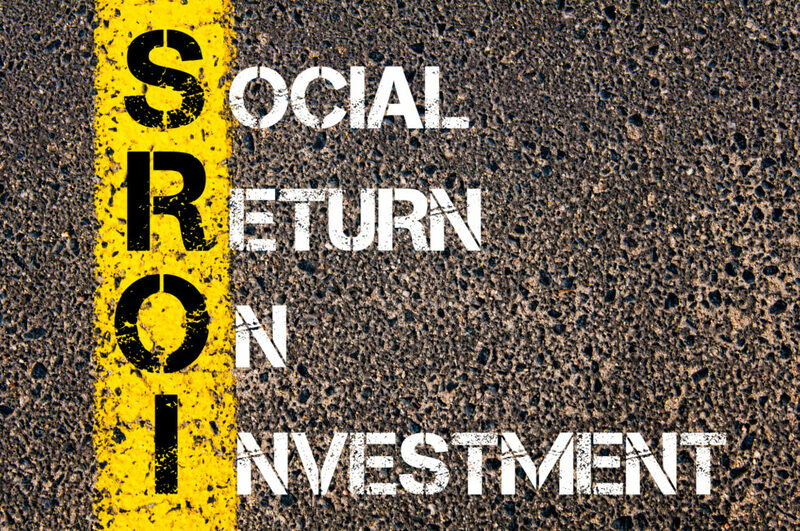 How do you interpret SROI? Your program’s SROI (a.k.a., cost-benefit ratio) should be greater than 1. That is, for every $1 invested in the program, more than $1 in societal benefit should be created to justify the expense. Put another way, the bottom line (or profit) of your program is your impact. Americans spend thousands of dollars on a college education, expecting to earn more income through higher-paying jobs than it cost to attain that education. If your program’s SROI is less than 1, the intervention may be generating less benefit to your clients and society than it costs to operate. When that is the case, the organization may want to consider alternative activities that can produce greater benefit at the same cost. The strength of SROI lies in its ability to demonstrate impact. Nonprofits can use it as a powerful storytelling tool to share their value to the community in annual appeals and connect to forms of impact investing, such as social impact bonds or pay for success. Likewise, social investors can use it to evaluate the success and payout of similar social investments. As we move from a donor to investor mentality, social return on investment can serve as a compelling mechanism to tell your story, because it helps your organization confidently answer the question “how much of a difference are we making?”. If your organization has recently completed an SROI analysis, please share the results and lessons learned with us and our TrendSpotters.